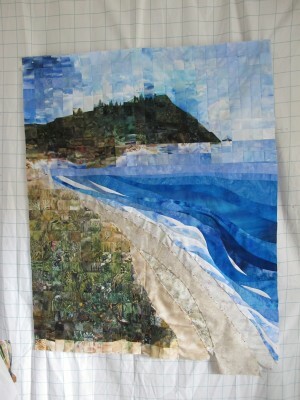 I did not draft pattern pieces for the beach section. 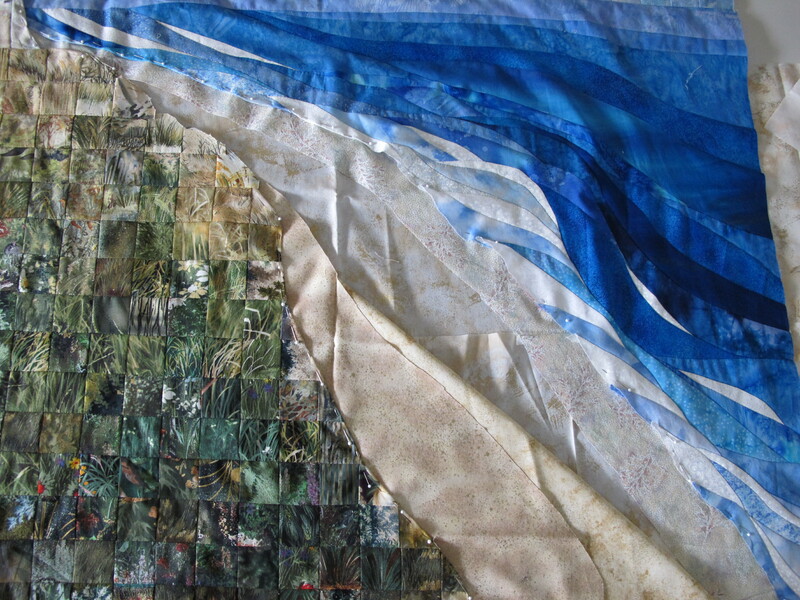 I choose the fabrics that would help imitate sand patterns on the beach. I laid these fabrics out between the sand dune area and the ocean. 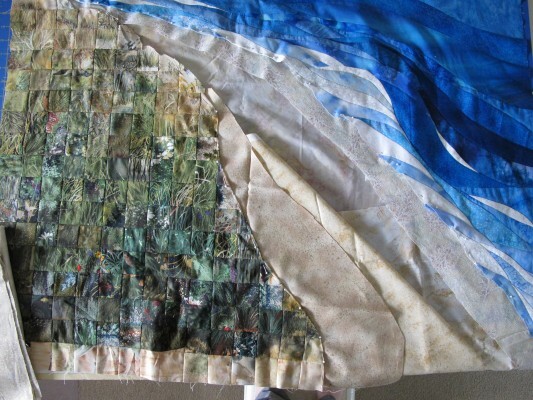 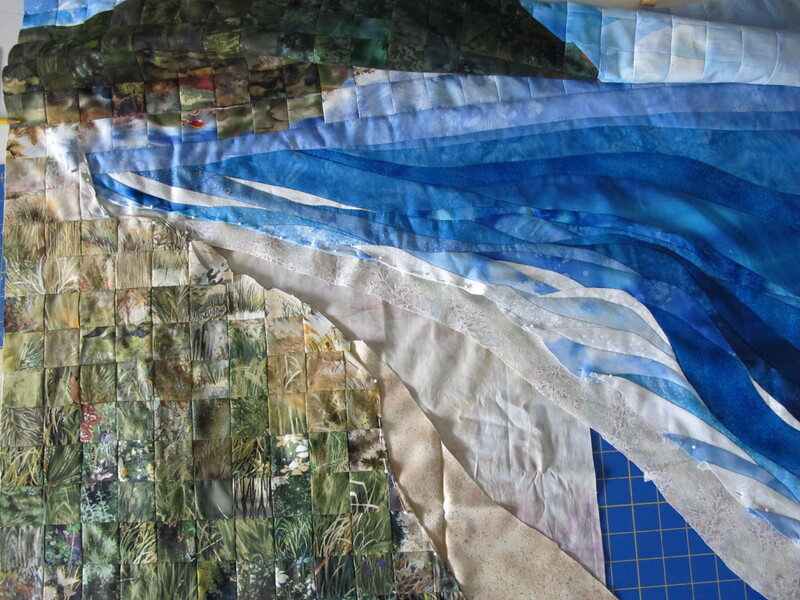 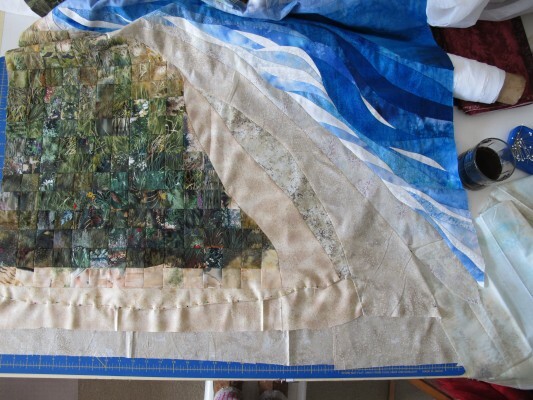 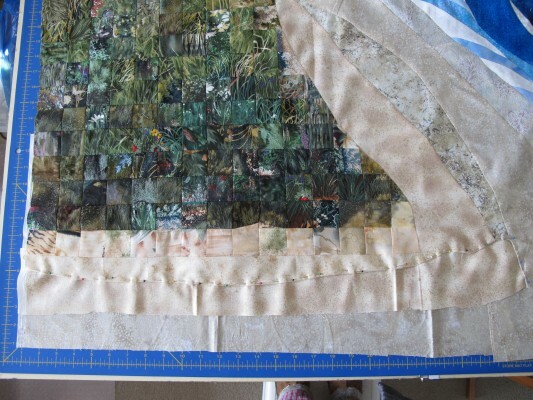 I pinned the fabrics in sections to form the shapes I desired and hand pieced each section to ensure that the final beach section would lay flat when attached to the ocean and sand dune. The quilt design called for a section of beach below the sand dune and grass area that represented the pathway the family used to walk to the beach.